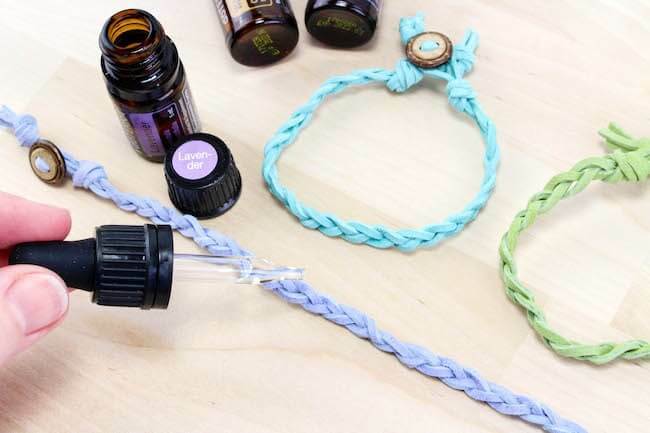 Carry your favorite scents everywhere with these gorgeous braided leather essential oil diffuser bracelets! Easy step-by-step photo tutorial inside. I first dipped my toes into the essential oil “craze” a couple years ago. I reached out to a former co-worker who is an oil enthusiast for advice on how to help my girls sleep well. We started with a couple sample oils and an aromatherapy diffuser for nighttime. 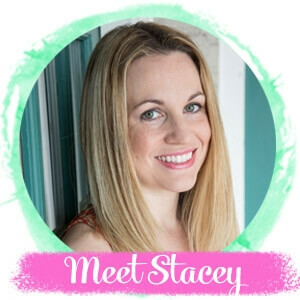 It was HUGE hit and the girls started asking to try more oils, so we created a calming bath routine as well as customized bedtime blend for each girl. 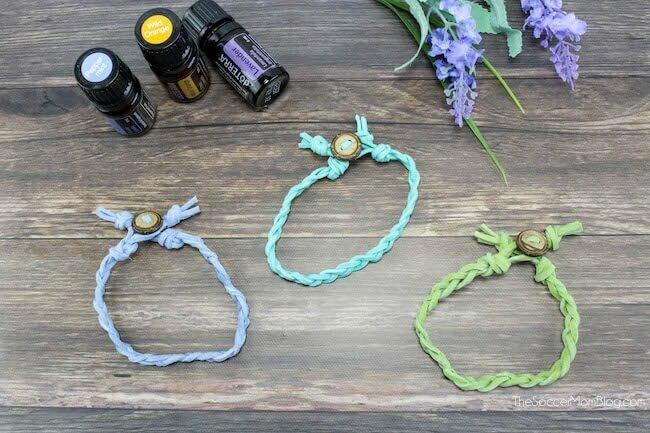 I love these Essential Oil Diffuser Bracelets because they allow your child to enjoy the benefits of essential oils when they are away from home. 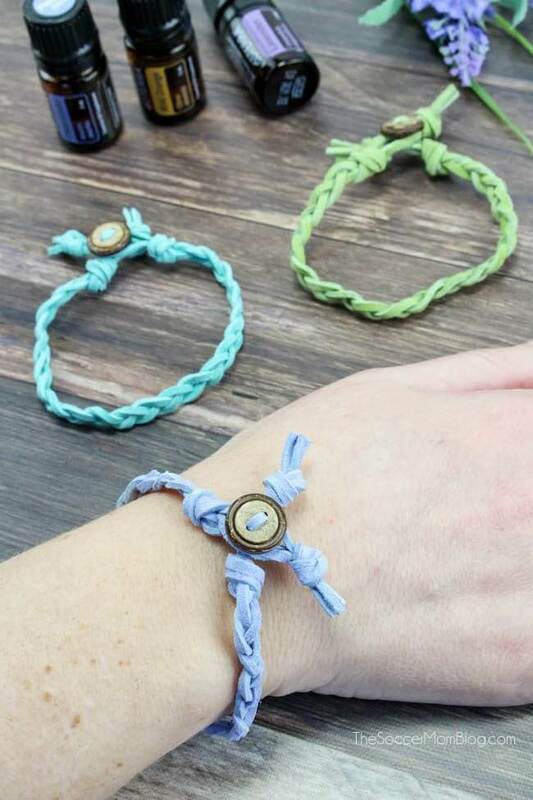 I’m pretty sure my daughter’s school wouldn’t be thrilled to see her carrying around a glass oil roller, but a simple braided diffuser bracelet looks like any other kid’s accessory. 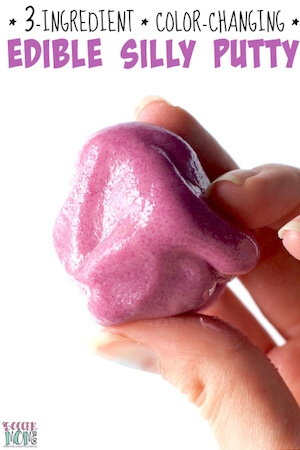 It provides a soft fragrance that won’t disturb others around them, but a child can smell discretely when they need a bit of stress relief during the busy school day. Plus they’re super cute and you can customize them with your child’s favorite colors and unique buttons! This is an easy craft that the kids can help make themselves too! For your convenience, I’ve included shop-able ad links to products used to make this craft; read our disclosure policy here. Start by prepping your supplies. For each bracelet you’ll be making, cut 3 strips of leather that are about 20 inches in length. (You may need shorter or longer strips based on the size of your wrist). 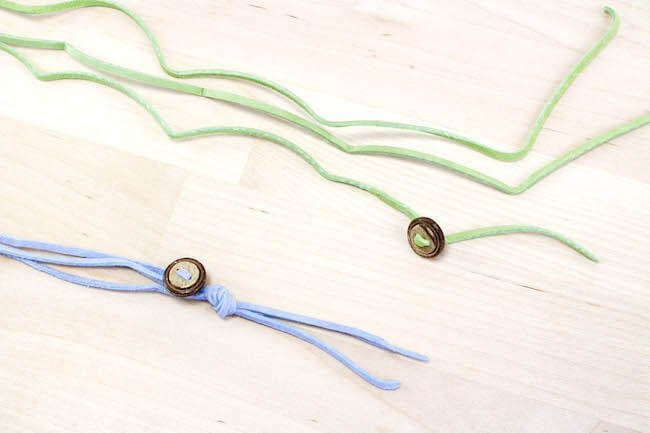 Tie the 3 leather strips together with a knot at one end, leaving about an inch hanging past the knot. Thread one button on one piece of the leather so that it rests against the knot you made. The other 2 pieces of leather will not have buttons. Then knot all 3 pieces of leather again on the other side of the button. It will look like your button is between 2 knots now. 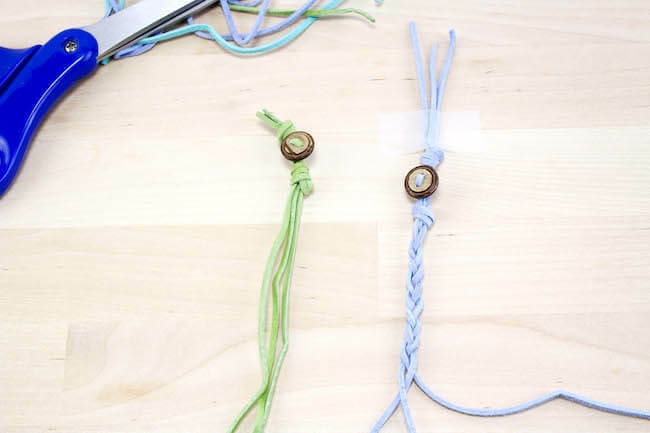 Braid the 3 pieces of leather together until you reach the desired length and knot them. Leave about a ½ inch to 1-inch space, or enough your button can fit through, then knot the 3 leather pieces together again. This will be the hole that your button will fit through to secure your bracelet on your hand. Cut off the excess leather from each end of the bracelet. 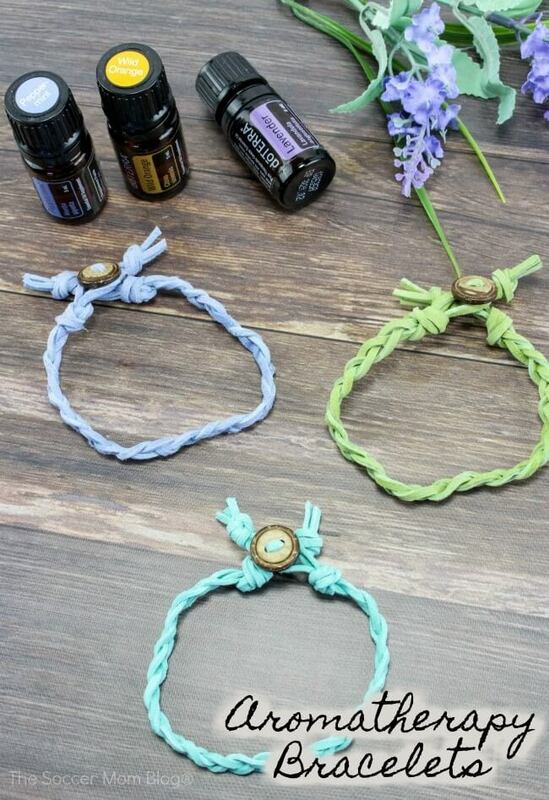 With a dropper, add 6-7 drops of your favorite essential oil(s) on the bracelet. The fragrance should last about 1-3 days depending on the individual oil(s) used. If the fragrance wears off, simply add a few more drops of essential oil. Just like you’ll see a lot of people recommending oils, you’ll see a lot of different places to buy them. 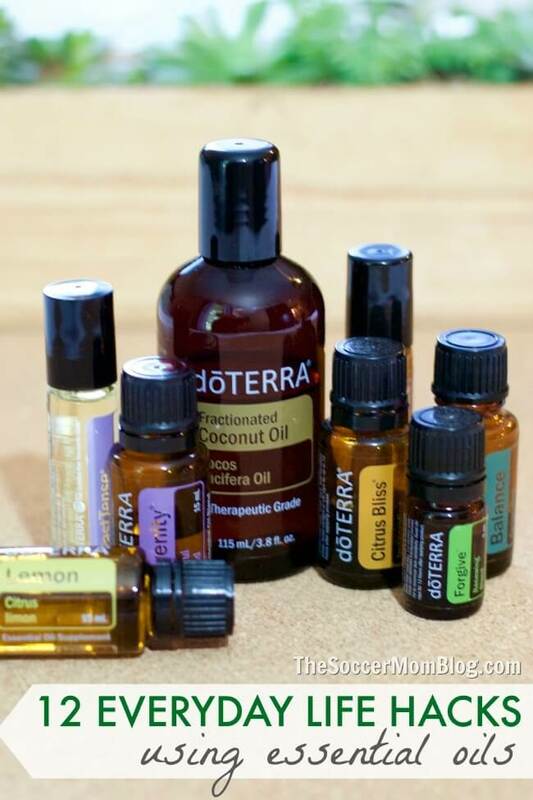 I can only speak from my own experience, so I’ll tell you why I purchase my essential oils through DoTERRA. Essential oils are not regulated, so the quality and purity varies widely depending on where you get them. Since these are things you’re putting on and in your body, it’s so important to know and trust your source! All of DoTERRA’s essential oils are Certified Pure Therapeutic Grade essential oils — the best available. Plus, you can check each bottle of oil you buy to see how that batch measures up to an independent quality report . You won’t find that kind of information on oils you buy anywhere else! With DoTERRA you can sign up as a Wellness Advocate or as a Wholesale Customer. Both types of membership offer special rates lower than the retail price. 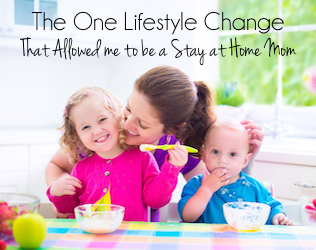 The only difference is that as a Wellness Advocate you can earn money through commissions. 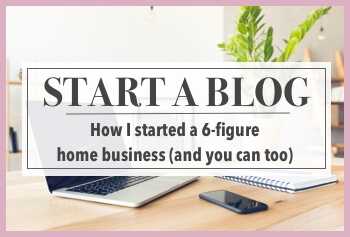 TIP: Even if you don’t intend to start your own business, I suggest signing up as a Wellness Advocate because you could still earn money anyway! Think of it like a membership to Sam’s Club — you pay a small enrollment fee to access wholesale product prices on every oil you purchase. You’ll save up to 55% off retail prices plus earn points towards free products! I don’t buy huge quantities of oils, but even still my membership pays for itself within a couple months! There are no monthly requirements or minimum purchases — simply buy the oils you need, when you want them. The link above will take you to the DoTERRA website where you create your own account — you’ll be prompted to select your language first. Next, choose whether you’d like a Wholesale Customer account or a Wellness Advocate account. Finally, fill out your information and pick a password and you’re ready to start shopping! If you’re interested in trying essential oils for the first time, I highly recommend purchasing a Starter Kit like the Home Essentials Kit. This gives you a selection of the most versatile oils for household use and save even more money than buying them individually. 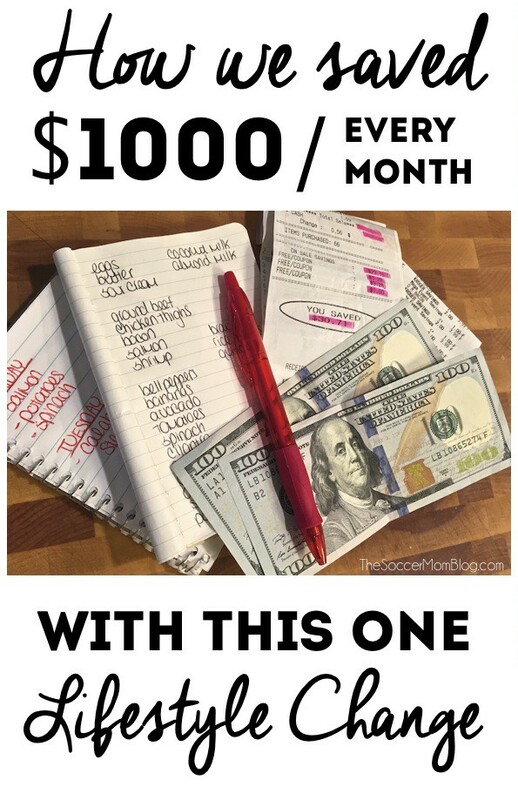 Plus, when you buy a starter kit, the $35 enrollment fee is waived. If you’d like to select your own oils, make sure you grab the $35 introductory packet (listed with the kit options). Fill out the payment information. Up until this point, you’ve been dealing with signing up as a wholesale member and setting up your new account. The order you just set up will ship out to you in a few days and you’re all set. 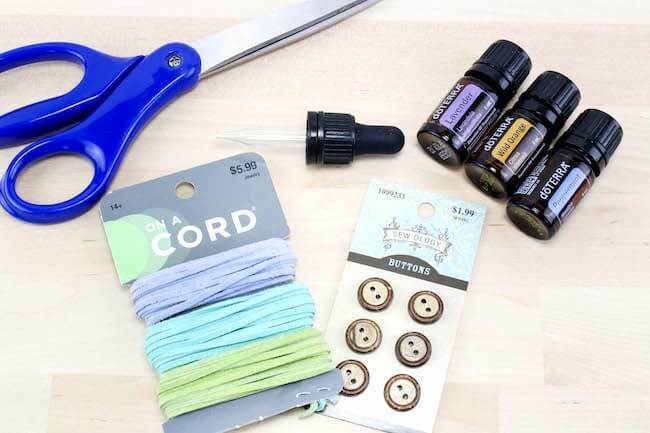 Start shopping or create your own account with DoTERRA here! Do you have any unique or helpful uses for essential oils not listed here? Share them in the comments below! The fine print: This article is based on my own personal experience and is for educational purposes only. The information here is not intended to diagnose or treat medical conditions and should not be taken as medical advice.